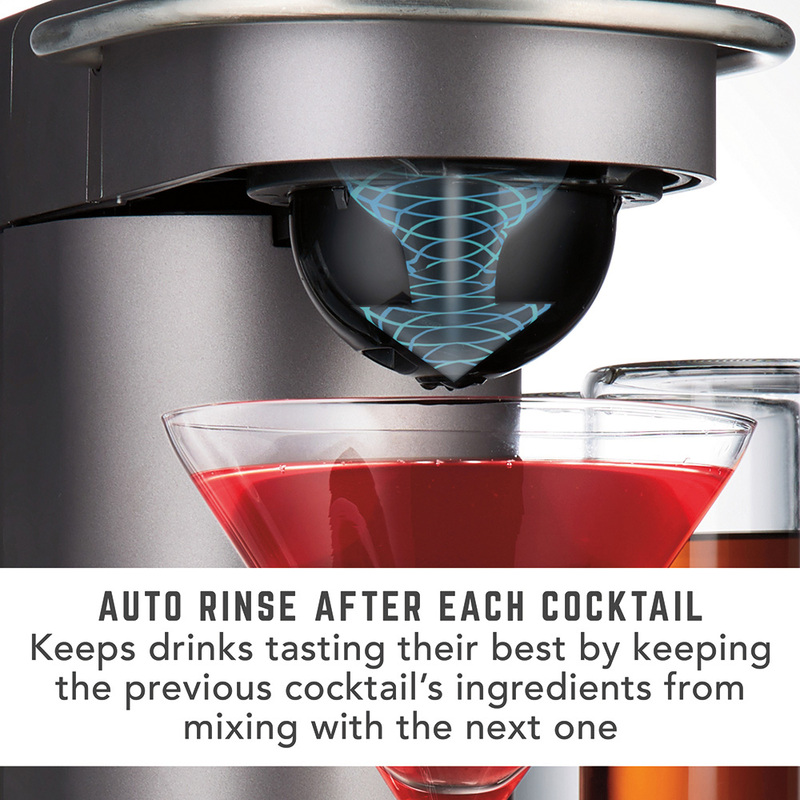 Your favorite cocktail bar just got a whole lot closer. 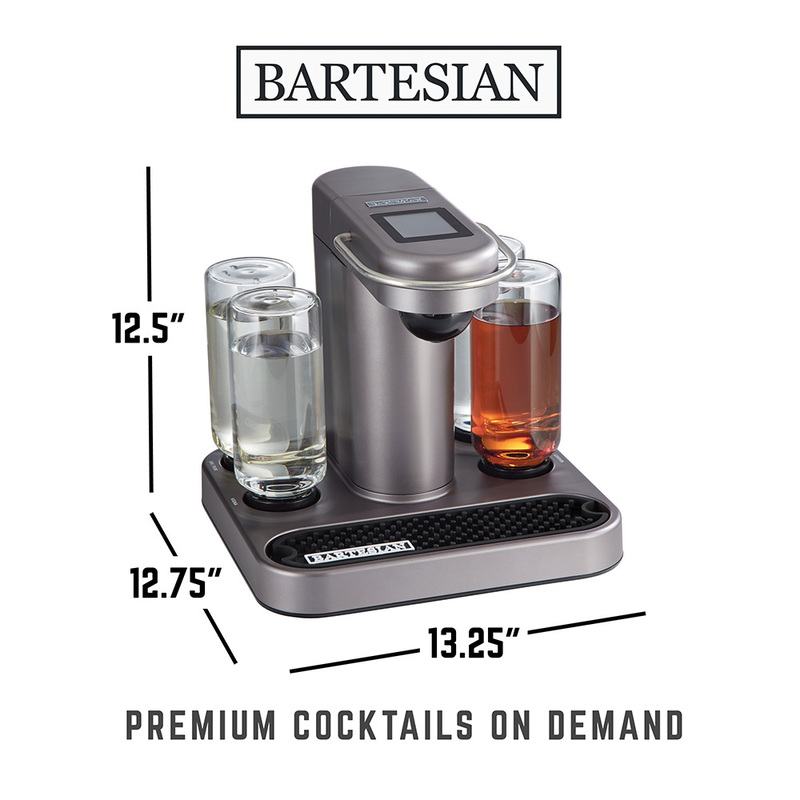 Bartesian makes premium cocktails at the touch of a button. Bartesian allows everyone to be a master bartender. 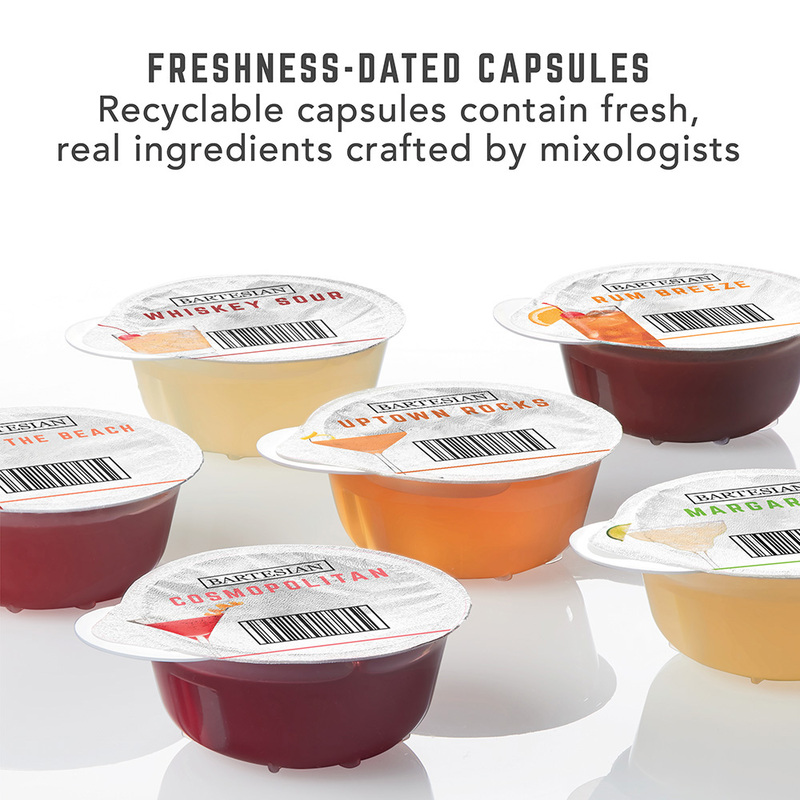 Simply insert a capsule, select the strength, and enjoy a perfectly crafted cocktail in seconds. 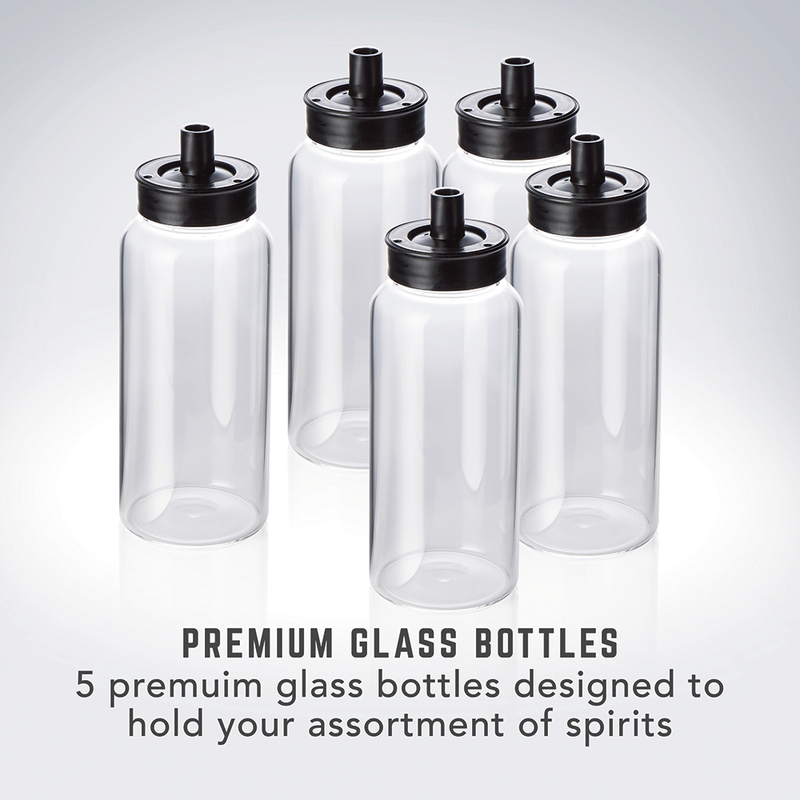 Four reservoirs contain each of your favorite spirits (vodka, gin, rum, tequila, or whiskey). When a capsule is inserted the system draws the spirit from the appropriate reservoir. The strength of each drink is adjustable from mocktail to double, so there's a cocktail for every palate. Now you don't have to be an expert mixologist to enjoy an excellent cocktail. Once a capsule is inserted, Bartesian instantly identifies your cocktail selection, which spirit will be automatically drawn, and even suggests glassware. User-friendly touch screen allows you to select your strength, from mocktail to double. Bartesian dispenses your authentic, customized cocktail in seconds.